A new law will increase the consequences for hit-and-run crashes starting in 2018. A new law will increase the consequences for hit-and-run crashes starting in 2018, though some feel the laws are still too lenient. 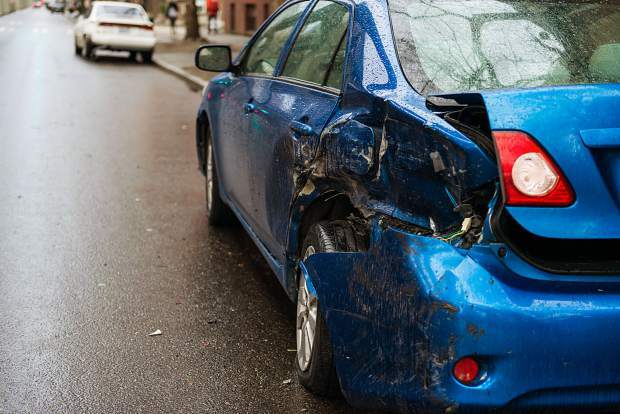 Under the new law, the Colorado Department of Revenue, Division of Motor Vehicles can suspend the license of any person involved in an accident resulting in serious bodily injury or death who failed to immediately stop or return to the scene of the accident. Grand County doesn’t have an inordinate number of hit-and-run crashes, and statistically most of them take place in parking lots with unattended cars, according to Lt. Dan Mayer of the Grand County Sheriff’s Department. The lack of major roadways in the county also makes it relatively easy for law enforcement officials to catch drivers who flee from crashes. Hit-and-run crashes can still be troublesome for residents in the county, however, and Mayer believes that the penalty should continue to increase. “People know that their licenses can be suspended for losing points,” said Mayer. “So you aren’t really doing much with the law by just suspending licenses. They should do more, because with accidents involving serious bodily injury and fatal accidents, they haven’t really increased the penalty. Once law enforcement officers determine that a driver has violated this law, they may immediately serve a notice of suspension to the driver and confiscate their driver’s license. At that point the driver has seven days to request a hearing with the department of revenue, otherwise the suspension will be upheld. In addition to the license suspension, leaving the scene of an accident involving serious bodily injury is a class four felony, and a class three felony if there is a fatality. Drivers involved in an accident are required by law to stop as close to the scene as possible, or immediately return to the scene, to provide their name, address and their vehicle’s registration number to an occupant of the other car or law enforcement officials. Individuals are also required to give assistance to an injured person when reasonable, and to notify medical and law enforcement officials.